For many people September is probably the month to start winding down in the garden for allotment holders it's still full on. 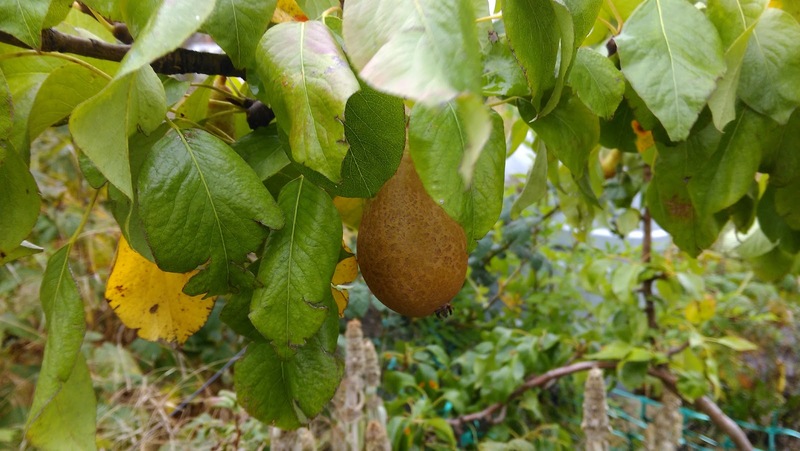 There's been the gathering of our harvest and the care of our winter crops. In fact it's been that's busy I'm not quite sure where the month has gone to. At the beginning of the month Mr JibberJabber dug up the pink fir apple potatoes. What a haul! I put them into a very large paper shopping bag I had kept as it seemed a shame to put it straight into the recycling bin. It seems to have done the job and we been boiling, sautéing and slicing them on top of cottage pies all month long. 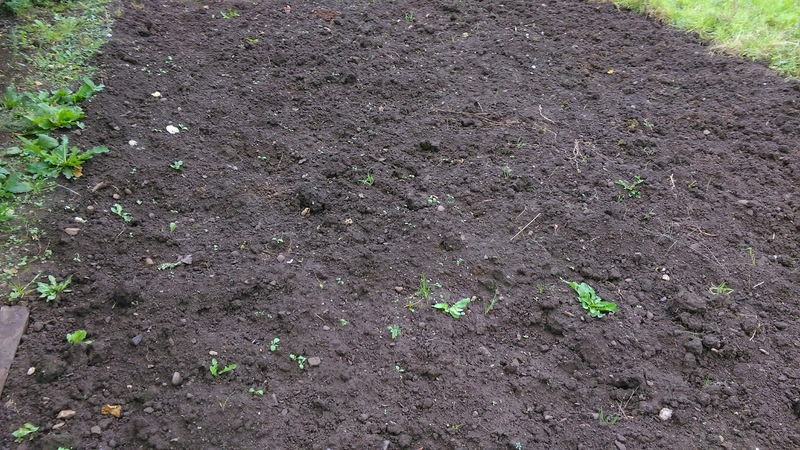 As one lot of potatoes have been harvested the next lot have been planted. Hopefully underneath these leaves are our Christmas potatoes. 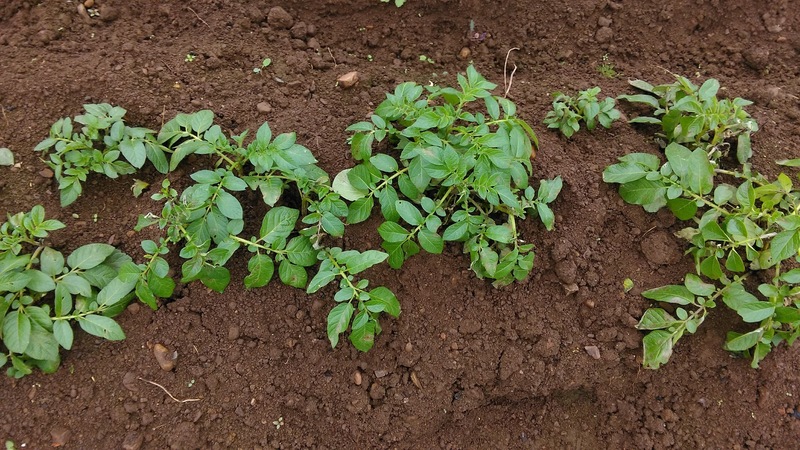 We have already ordered next year's potatoes through our allotment society. 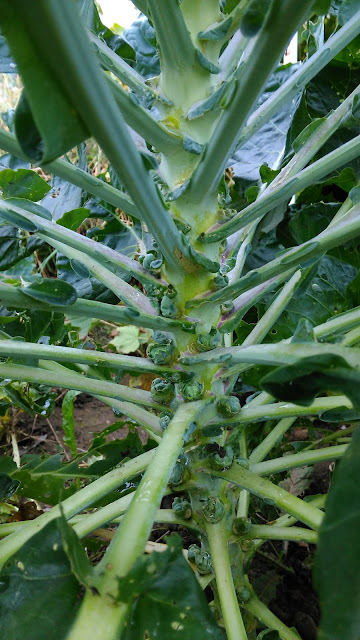 Thinking of Christmas the Brussels sprouts are coming along nicely. They do need a growth spurt though if they are going to be ready to put on to boil next month in time for Christmas Day! 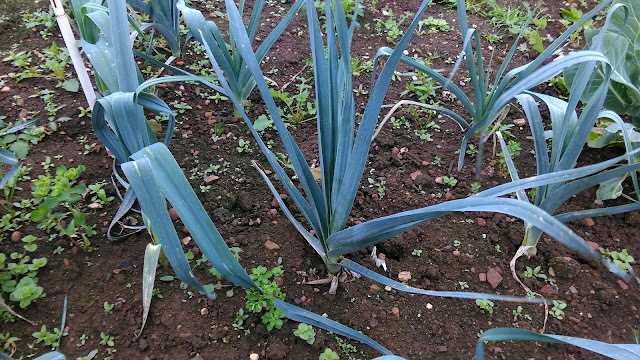 We're also planning to have some of our leeks at Christmas. I think they will go very well with the Boxing Day gammon. I have finally picked the last of the sweet peas this month. For weeks now I have been kept in fresh flowers. 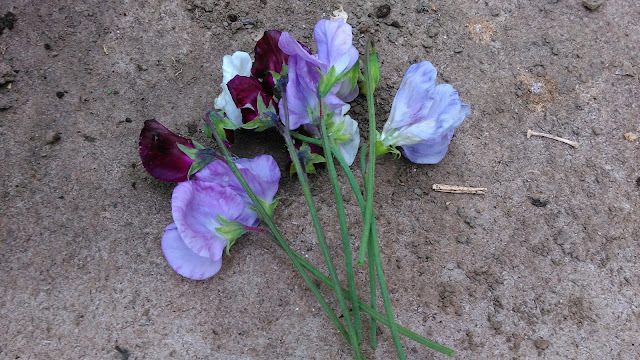 Sweet peas don't last long once picked but once one bunch has died the next flowers are ready to be picked. Do keep picking them as more will keep coming otherwise they will go to seed. 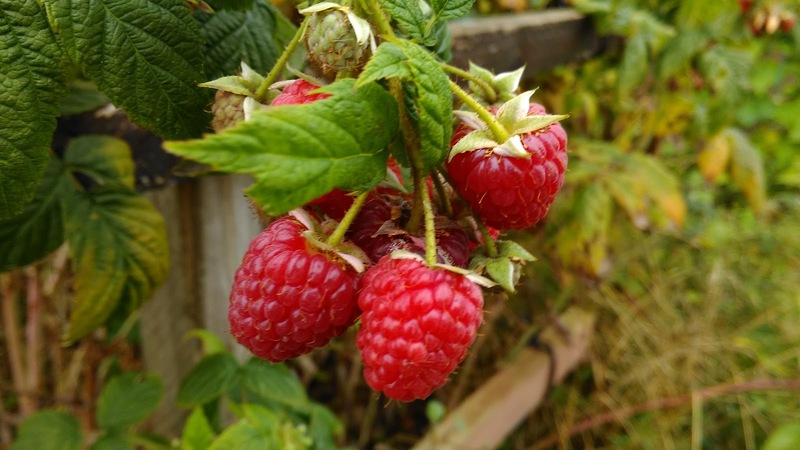 It seems most of our raspberries are autumn varieties and they have gone a bit crazy this month. Along with making raspberry jam and muffins with them we have had the luxury of a raspberry crumble. The amount of fruit in it probably would have cost about £8-10 in the supermarket! 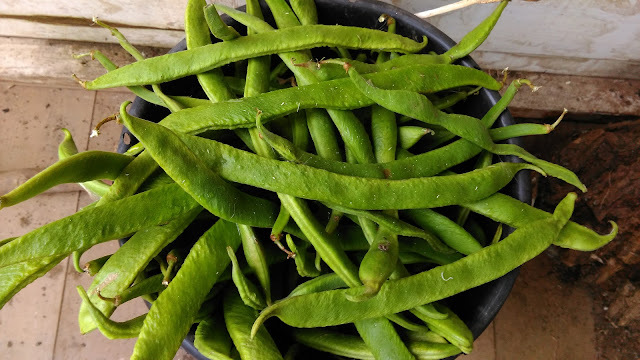 If anyone wants any runner beans then stop by. 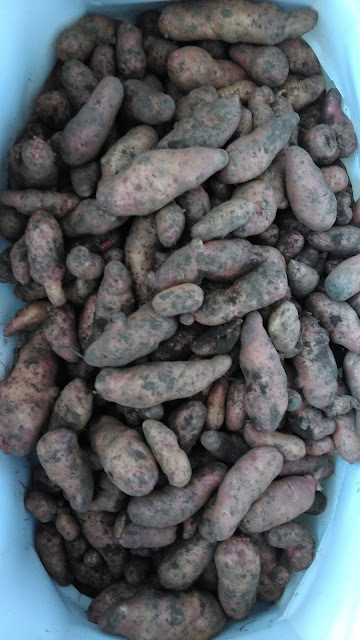 We have literally been picking them by the bucket load. On sight this isn't the most exciting photograph you are ever going to see but this is a complete section of the wilderness that has been cleared. The task for the winter is to finally clear the rest plus of course try to keep the weeds down. Easier said than done!